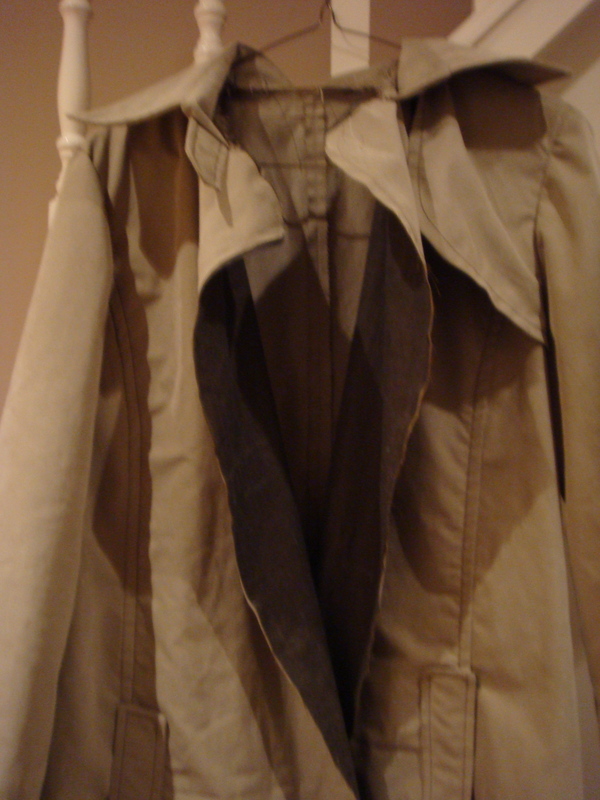 I have spent all weekend furiously trying to finish off my trench coat. I must warn you that there has been quite a lot of swearing involved! I have had a lot of topstitching drama – I just cannot get the tension right on my sewing machine. It is forever looping underneath and then the needle gets stuck. To top it all off I then I ran out of top stitching thread and it’s a Sunday!! But It’s all done really except for attaching the lining to the main coat and then top stitching that down + buttonholes.Not that much left to do, I am gutted I couldn’t finish it though. It’s been hanging over me for months and I feel like I can’t start anything else without finishing this off. Update: Due to another tube strike this morning, I can’t go into town to get the topstitching thread so have got it on eBay instead! And I have now worked out why the sewing machine hates topstitching – apparently the gutermann top stitch thread is such a heavyweight thread it is designed more for industrial machines and when you use it on domestic machines you should use a lightweight sew – all thread as the bobbin thread! I really should read the Pattern Review site more often, it’s virtually guaranteed that if there is anything you want to know about sewing it will probably be on there.